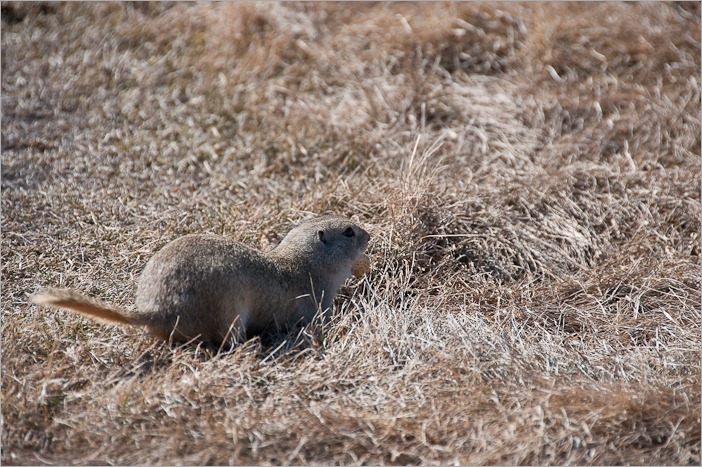 Prairie dogs are burrowing rodents (not actually dogs) native to the grasslands of North America. 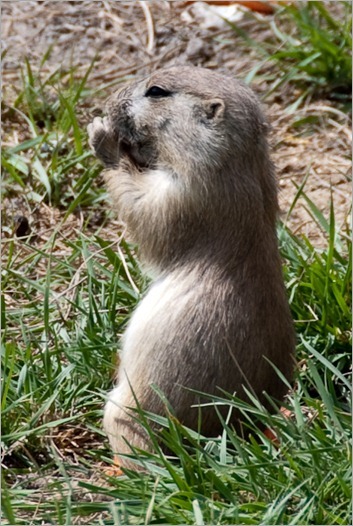 They are a type of ground squirrel. On average, these stout-bodied rodents will grow to be between 30–40 centimetres (12–16 in) long, including the short tail and weigh between 0.5–1.5 kilograms (1–3 lb). They will eat all sorts of vegetables and fruits. 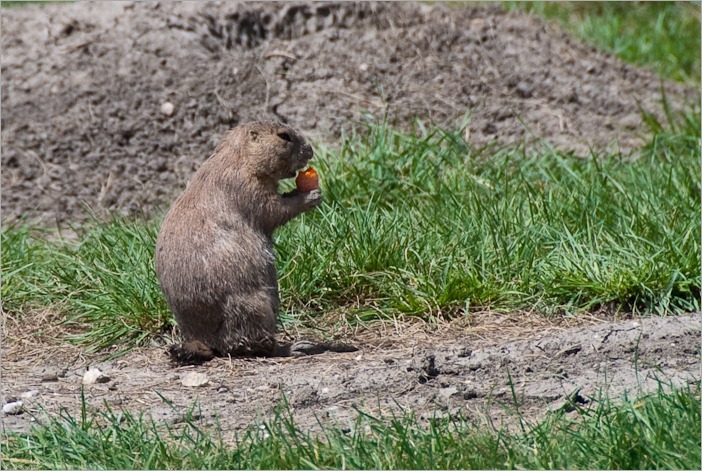 Here we found them at Oak Hammock Marsh and at Fort Whyte Alive in Winnipeg. They’re just coming out of their winter sleep, or sleepy period. Normally you can see them all over their “dog-made” hills, but today there were not many of them. Usually I shoot with an aperture priority and automatic shutter speed, but when shooting animals, it’s better to use the shutter priority and set it to something like 1/250 or faster. Animals are always faster than people to move. Be warned. 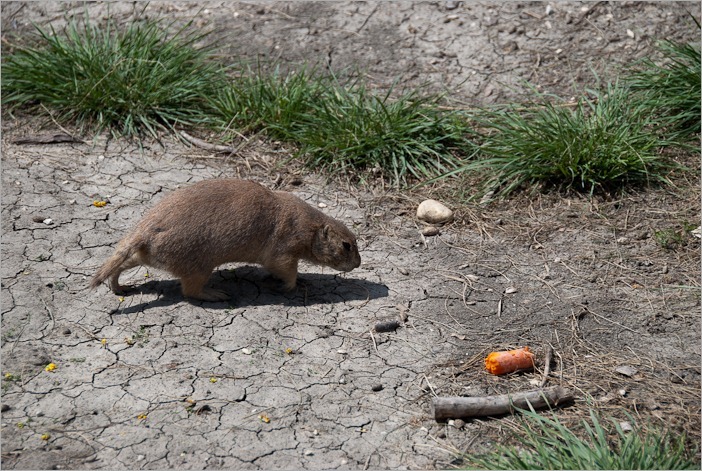 When “visiting” prairie dogs, it’s always a good idea to take some small food and nuts with you. There is always the obvious sign saying that you should not feed the wild animals, but if you want some nice pictures you need to have a way to get them to sit still for a few seconds. Unsalted peanuts, carrots and an apple will always do. 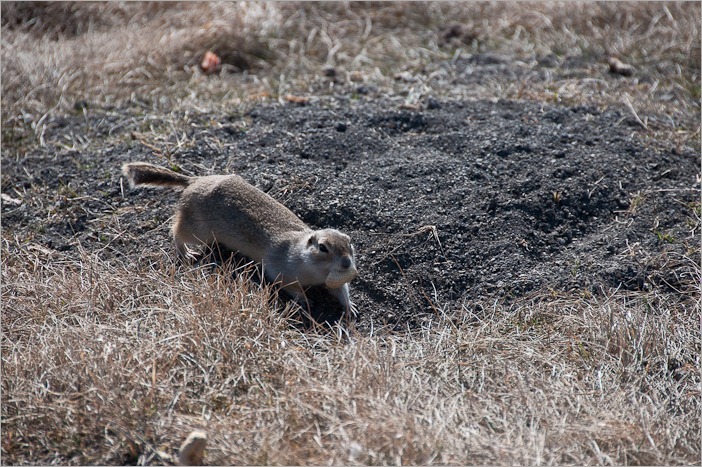 With that you can feed prairie dogs, deer, squirrels and other animals. 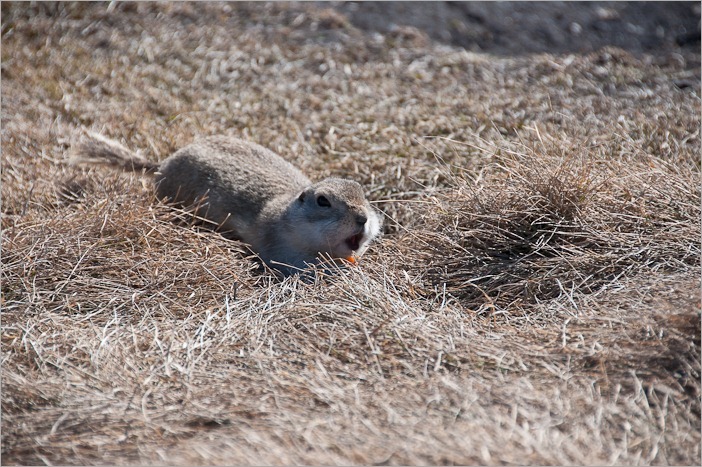 Some of the prairie dogs eat sitting up, giving a chance for some really nice pictures. If only they didn’t have the (bad) habit of sitting with their backs turned to the one giving them food… I guess it’s their way of ensuring they can run away in case the food provider turns out to be a menace.